IRTI (www.rti.org) is an independent, non-profit organization dedicated to conducting innovative, multidisciplinary research that improves the human I ER nN IIFI A L. condition. 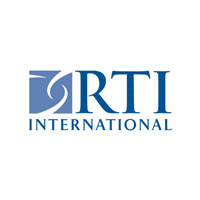 With a worldwide staff of more than 4,000 people, RTI offers innovative ON research and development and multidisciplinary services. RTI is recruiting candidates for the USAID-funded Tanzania Tusome Pamoja "Let's Read Together program RTI International is accepting applications from qualified staff for the USAID/ Tanzania Tusome Pamoja Program (2016-2021) in Tanzania. The 5-year program will assist the Ministry of Education to replicate and scale up reading, writing and arithmetic improvement interventions in schools with an emphasis on curriculum and materials development for Grades 1-4 in Swahili and English. On behalf of the USAID/Tanzania, RTI will work with regional, district, and ward personnel to implement reading, writing, and arithmetic reforms in four mainland regions of the country and Zanzibar, with support given to approximately 3000 public primary schools in the selected regions. Additionally, Tusome Pamoja will implement activities to engage communities and parents to further the goals of improved student learning outcomes. Essential Duties: To serve as the driver and messenger for Tusome Pamoja driving vehicles assigned to project in accordance with vehicle and traffic laws. Keep vehicles clean and conduct regular maintenance checks and servicing. Perform tasks such as collecting and delivering materials, books and other project supplies. Maintain vehicles and transportation in accordance with RTI and project procedures and guidelines. Provide general office support as needed. Transport authorized personnel to meetings, events, conferences, etc. Qualifications: Secondary School education with valid driver's license and clean record. 6 or more years' experience as a driver. Knowledge of vehicle maintenance and mechanics an advantage. Very good knowledge of driving rules, laws, and regulations. Client-centered approach. Very professional, friendly and courteous. Functional knowledge of English and Kiswahili. To apply please email your CV/Resume and Cover Letter only to tusomepamojahr@gmail.com Application deadline is January 19, 2018; however, applicants are encouraged to apply as soon as possible. Please put position title and applicant name in the Subject Line. Only short-listed candidates will be contacted.